Final Cut: The True Escapade is rated 3.6 out of 5 by 14. Rated 5 out of 5 by SparkleGlow100 from CONSTANT SENSE OF MYSTERY AND AN ENDING I HADN’T GUESSED! A very enjoyable, who-dunnit mystery. I thoroughly enjoyed this game. ***Well-paced STORY: You keep finding out new nuggets of information at regular intervals, so the story keeps moving forwards: it just got more and more interesting. Various people starred in a previous version of this “cursed” movie and died off one by one. It is being re-made now and the curse is back! ***Clear GRAPHICS. I loved the Art Deco style everywhere I went: at Silverwood Studios, a Director’s swanky house, and at someone’s place who is a movie memorabilia fan. ***The CHARACTERS are there in the beginning to help set the theme, and for you to establish who’s who. After that, it’s more or less you on your own, meeting other characters here and there. ***Quite a lot of HOPS and a lot of nice looking ones too. I like this style they do; step one being where you start off finding 5 of this and 5 of that, then step 2 are the word list types. 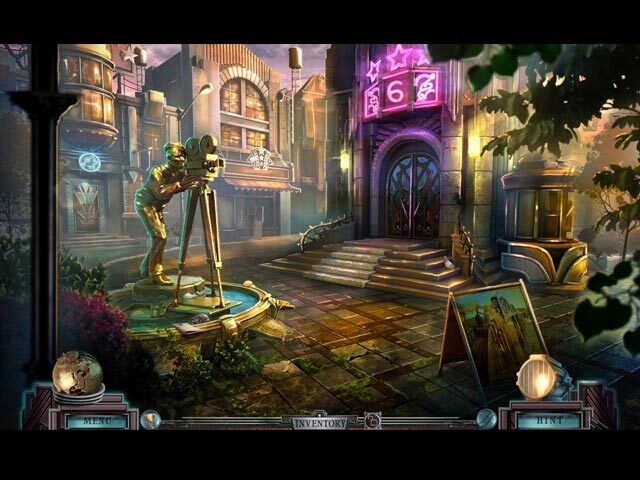 The PUZZLES were a range of all types and with varying difficulty, I skipped quite a few. ***The MUSIC was very nice and suited the theme. ***The HINT will show you what to use and where IF you are already standing at the right spot. Sometimes it’ll lead you somewhere, sometimes it won’t. Often you might get a,”nothing here” type comment. Great Daily Deal! This is the first of the “Final Cut” series that I’ve played. 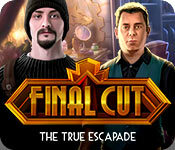 I’m looking forwards to playing the latest release, “Final Cut: Fade to Black” soon! Rated 5 out of 5 by canadiangirl94 from So much fun I am a huge fan of the other final cut games so I was hoping this would be the same high quality game as the first three. I was definitely right. Not as many cut scenes in this one which was partially disappointing as they really add to the story line but it also meant you could work through the game sooner. Do enjoy having the option to play match 3 instead of HO scenes, had to use it a couple times because I got so confused. Glad it was not just regular HO scenes but ones where you have to find multiples of the same object or were given clues/riddles and had to figure them out. Overall great game. Rated 4 out of 5 by wupmuppet from More From Wolf Studios The artwork and music is as wonderful as always. All Eipix games that I've played have the benefit of looking and sounding gorgeous. I adore Bauhaus and Art Deco, and they feature strongly throughout the games--an extra treat for those who like that style. The level of challenge was perfect for me (I play on hardest level because I can still skip puzzles if I have to or want to). I don't use the Match-3 option (instead of playing the HO) because I love the HO parts... but I like that it's there. The storyline was very good. It was starting to feel like a hard-boiled detective story but didn't quite commit. As a result, the story fell a bit flat, though it had a nice lead-up and ending. I prefer the initial Wolf Studio trilogy... the first three games in this series were different but this was still fun to play even though the storyline is isolated. I am a fan of continuations. Rated 4 out of 5 by denniann2 from a movie of murders your fiancee has been hired for a leading role in your brother's movie that has been cursed since it was first tried to be filmed. now this second attempt is following the same path. you need to find your fiancee who went on the run when he shot another actor with what should have an empty prop gun. finally the police believe that all the accidents in the first try of filming and now this one are not coincidences. it has an interactive map and a journal. a custom level is included. i didn't use the music but for a little while. seemed like a good fit. Rated 4 out of 5 by whiting71DK from “Challenges on more than one level” ( SE version ) Very clever HOS’, easy puzzles, and pretty difficult ones, great music underlining the feel of the magnitude of great art work scenes in this movie mystery of a game, where our heroin actress is led and misled in real and the unreal real film world in pursuit of her man, and “who done it” . . why all these mishaps of the old movie which somebody has been and is jeapardizing time and again ? To help her(you) on your quest, you’ve got a map and recurring slide shows to keep you on track. If all else fails, hint works fine. A very good 5 chaptor long game which I warmly recommend. 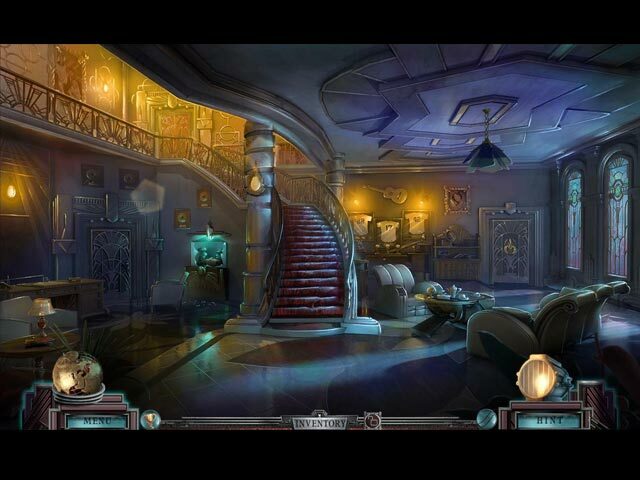 Rated 4 out of 5 by FionaPa from Enjoyable adventure game This was a good adventure game, with an engaging storyline. It had an innovative repeating puzzle type based on the retro Viewmaster toy. I got a little confused by the characters at times. The scenes were interesting and the puzzles varied. The good news is that there weren't too many cutscenes. It would have been 5 stars from me except that a glitch meant that I had to restart the game again after getting nearly one third of the way through. Rated 4 out of 5 by pennmom36 from CUT! It might be time to give up this deadly script, how many actors must die to convince the producers? True Escapades has returned to production once again, unfortunately, each time production resumes, someone ends up dead! Brian Garcia is the latest victim of this movie screen curse, when a seemingly innocent gun prop was a bit too realistic, and was loaded with real bullets! Question is, did Ruben know the bullets weren't fake? Someone want's this production scrapped pretty badly, a ransom note has been found with an ultimatum, bring the original film to studio 6's rooftop or Ruben and Brian's wife will die! Just what is so important about this old film and why are people associated with the film dying? Some of the inventory items have plus sign indicators,which require you to interact with the item before using, and they have equipped us with an old school slide projector viewer. Whenever the viewer icon begins to shake, that's an indication that you can put any slide that you have come across into the viewer and use the viewer in that same scene in the form of spot the difference, with a difference! There is a slider button at the top which you slide to the right and left of the current scene, and click on any item that is different than the original scene. (okay, that's kinda cool) There are 40 collectible film strips in the Collectors Edition but not this edition, (one in each scene, and they are well blended into the background, so kudos on that as well). 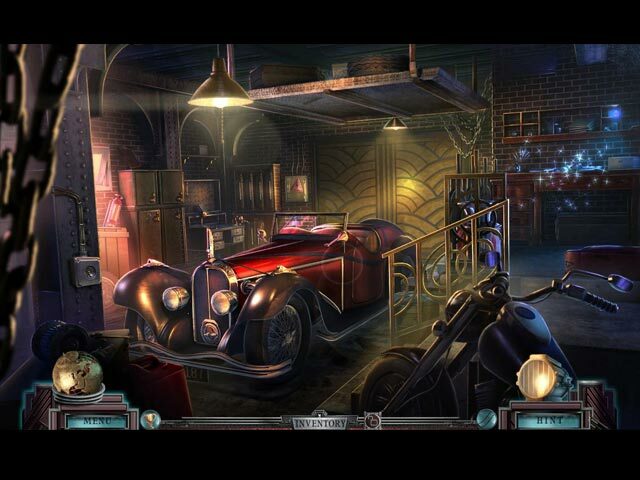 The Hidden Object Scenes were a bit too scarce in my opinion, and a tad bit mundane, first you find 5 musical notes which will unlock that window to expose a key which is used to open up the next window with list finds, then you find 5 stars to unlock the next window which exposes a knife which unlocks the next list find. The mini games were okay, but way too easy, however I would rather they be easy than frustratingly impossible. Most games were tiles that you swap to create a complete picture, or use arrows to roll a ball toward the hole of a labyrinth maze and the easiest game was sliding tokens through a simplistic maze to place on top of symbols located along the maze so that the token and symbol create the same symbol shown on the diagram. The Collectors Edition claims to have Morphing Objects, 40 hidden Film Strips (what happened to the clapboards?) Match 3 games, 18 replayable HOS and 17 replayable Puzzles, 19 Achievements, a Souvenir Room (only available in full version) Movies, Music, Making of (only available in full version) Snap Shots and Wallpapers, Pictures, a built in Strategy Guide and a Bonus Chapter. This game will surely delight diehard Final Cut fans, but I personally wasn't over the top thrilled, mostly because of the story, but the dialog was poor at times and the acting wasn't that great either. Enjoy! Rated 3 out of 5 by bessiegirl from I thought it would never end..... This could have been a good one if it wasn't so "cumbersome" and just one HOS and mini game/puzzle after another. All this slowed the game down and made me really glad when it finally came to the end. Storyline was slow and a bit confusing with all the characters involved, you sort of lost track of who was who and what part they played in the story. The transporter map was good, but you could also use the transporter hint. I set the hint and skip to refresh quickly otherwise I may have gone nuts. Some of the mini games/puzzles were simple, but very tedious and others just didn't make sense. HOS were varied, but used a lot of the shadow hints as well as riddles. Animations, color and graphics were probably the best part as they were very good. The most ANNOYING part were the constant bleep, bop sound effects every time your curser ran over an area even after turning them way down in the options. No need for that. For an adventure game, it feel short due to all the time wasted moving around from one place to another and playing HOS and puzzles.